About 5 km from Ladjuar Medan there is a skarn marble horizon cut through by the Sar-e-Sang River, very close to where it flows into the Koksha River. This gives deposits on both banks of the Sar-e-Sang River (Dudley Blauwet (2013) private communication). That horizon contains Haüyne, both green and blue and partially replaced by Gonnardite. Fine Marialites and Pargasites occur associated with the Haüyne. A small number of light green Haüyne specimens were recovered in 2008 from here. Only recently was it noted that there is a very minor alteration to gonnardite on at least one of them. By 2009 the blue Haüynes with gonnardite replacement were being recovered. 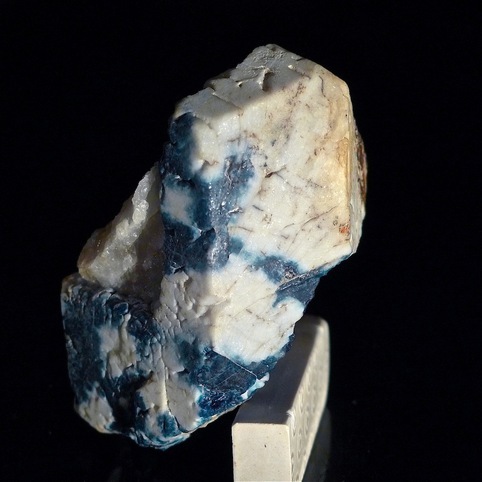 A few specimens of Pargasite soon followed and by 2013 a Pargasite with dark green Haüyne was found. Also in that find were the dark green Haüynes showing a slight colour change with the Haüyne being greener, the bluer the light source. This happens to a lesser extent with the earlier lighter green Haüynes. Like the Baffin Island green "lazurite" this light green Haüyne has a cell edge of 9.05 A. The problem is that no natural sulfide dominant Lazurite has ever been observed. They can be synthesized but are unstable. 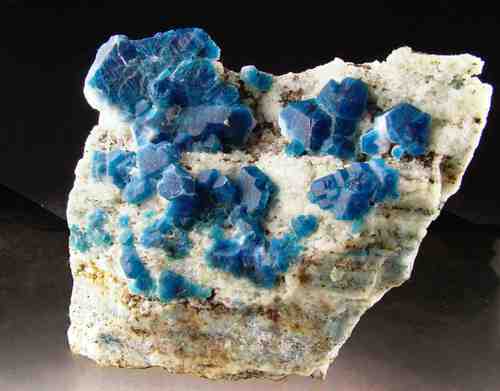 All 'Lazurite' specimens are, in fact, sulfate dominant Haüyne. 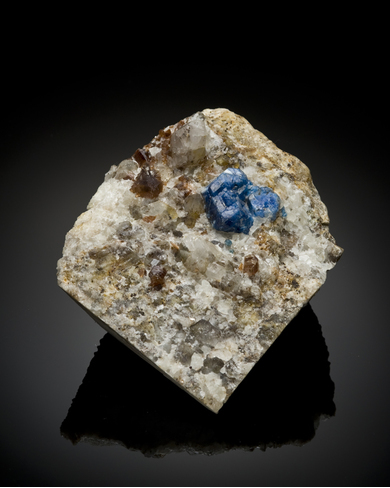 The specious argument to call some powder patterns Lazurite stems from the observation that sulfide is smaller than sulfate and so Haüynes with small unit cells should have more sulfide, but there is never enough to be sulfide dominant. Description: Known as small trasparent grains in calcite also containing a large altering hauyne in American Museum of Natural History specimen #112762. Fernando Camara found these to be Afghanites by SCXRD. Reference: Moore, T.P.,Woodside, R.M.W. 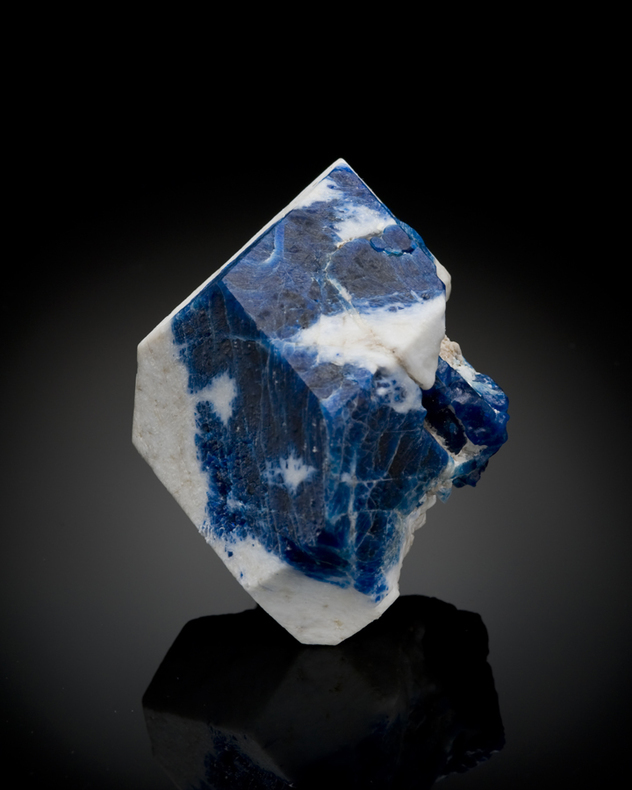 (2014): The Sar-e-Sang Lapis Mines, Kuran Wa Munjan district, Badakhshan Province, Afghanistan. 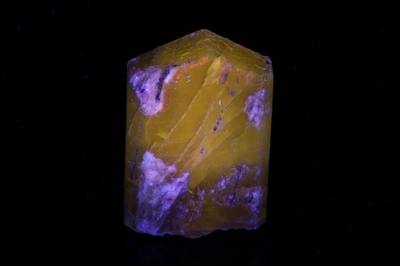 Mineralogical Record 45 (3), 280-336. Description: The green and blue Hauynes from here alter to a snow white mineral. Intially this was analysed with EDS and that was interpreted as plagioclase. 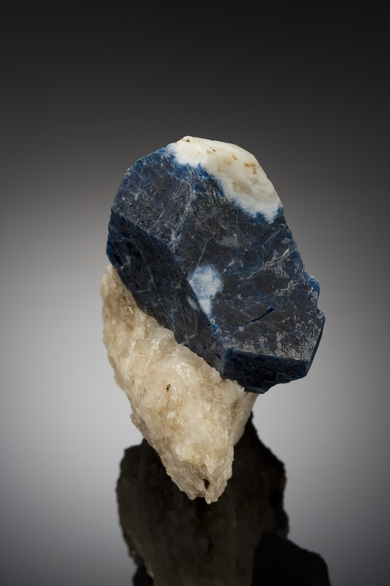 The Al to Si ratio was one to one just like the sodalite group. However it returns a PXRD pattern of Gonnardite and not plagioclase. Description: This was initially called plagioclase, confirmed by EDS. The EDS pattern has the same 1:1 ratio of Al: Si as plagioclase and sodalite group minerals. Gonnardite can have this same EDS. 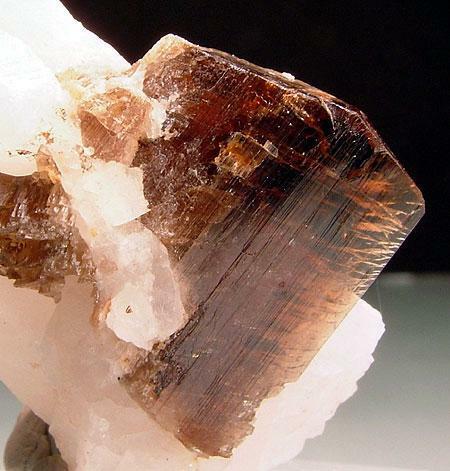 The PXRD of Gonnardite is attached to the Marialite specimen it came from. Description: The blue Haüyne has a cell edge of 9.08 A (Fernando Camera (2013))and the green 9.05 A. (Fernando Camera (2010) Both have similar modulated structures. A few dozen specimens of green Haüyne were recovered. Dudley Blauwet (2008) has photos of the material in situ. Fewer darker green Haüynes later emerged. 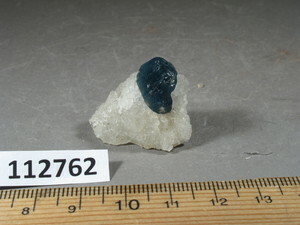 PXRD at the Royal Ontario museum gave Lazurite C with gypsum for the early green material (Malcolm Back (2009)). Fernando Camara (2010) found it has a cell edge of 9.05 A and a 45 A modulated structure. 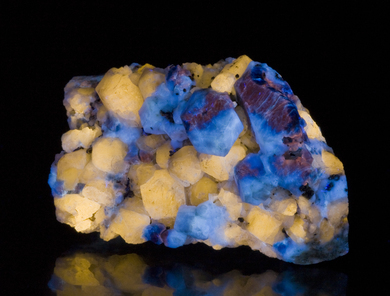 A Raman analysis at the University of Arizona gave both Haüyne and Lazurite for the blue Hauyne. 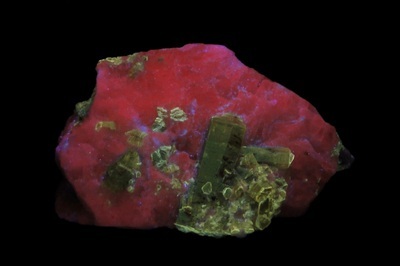 The problem is that no natural sulfide dominant Lazurite has ever been observed. They can be synthesized but are unstable. All 'Lazurite' specimens are actually sulfate dominant Haüyne. 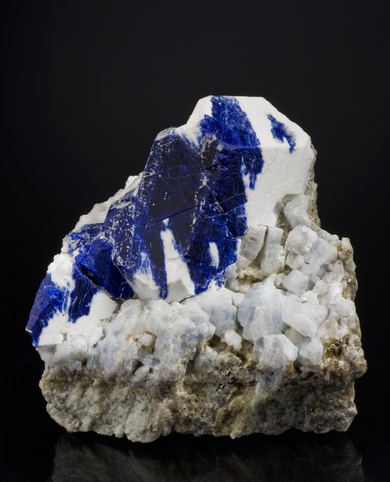 The specious argument to call some powder patterns Lazurite stems from the observation that sulfide is smaller than sulfate and so Haüynes with small unit cells should have more sulfide, but there is never enough to be sulfide dominant. Habit: Short tetragonal prisms with pyramidal faces and pinacoid. Description: The Koksha Valley Scapolites are all turning out to be marialite.The PXRD is attached to this specimens photo. Description: Frank Hawthorne identified this pargasite. 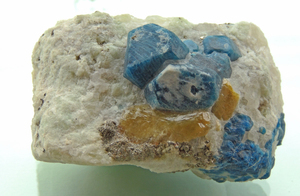 Green "colour change lazurites" (green Hauyne) being replaced by zeolite occur with large pargasite xls. 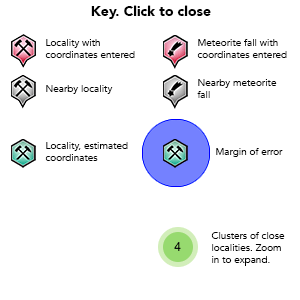 Thus the pargasite has been assigned to this locality. Moore, T.P. and Woodside, R.M.W. (2014) The Sar-e-Sang Lapis Mines, Kuran Wa Munjan district, Badakhshan Province, Afghanistan. 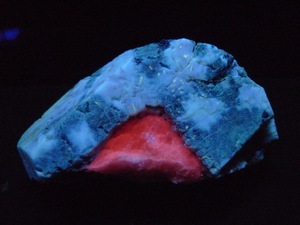 Mineralogical Record, 45(3), 280-336.